Do you have a home with a tiny backyard, or a sloped backyard, or one of those disfigured backyards where the strange dimensions make it almost impossible to do anything? Our concrete pool experts thrive on finding new ways to install pools in challenging situations. We’ve created this blog post to inspire your own concrete pool design for your backyard. The thing we love about these pools – and Marlin Pools in particular – is that they’re completely customisable, which means your design options are endless. Have you got a drop-dead gorgeous outlook, but just a small balcony space to enjoy it from? A concrete balcony pool is an easy way to draw your guests outside for a prolonged period to enjoy that stunning view. 5 Concrete Pool Design Ideas You’ll Love. Is your backyard all strange angles and sharp corners? Do you have to make way for the kids’ playground or your standalone pergola? Concrete Pool Design for an Unusual Space. 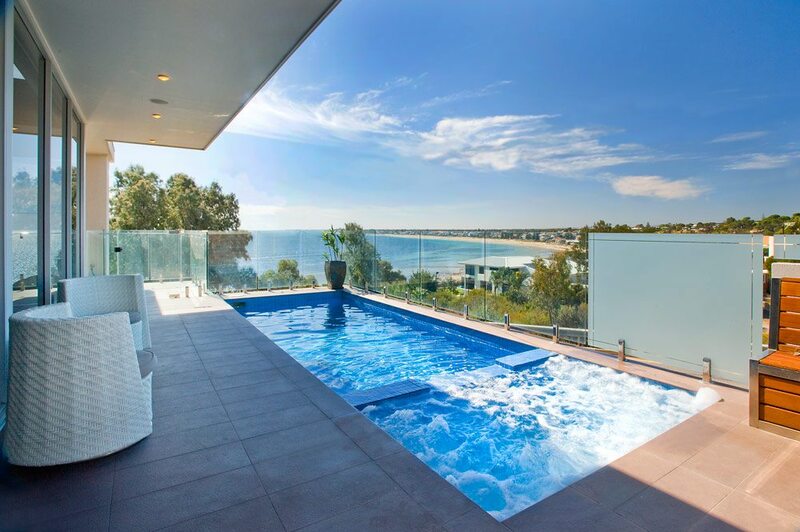 The infinity pool is the king of concrete pool design ideas. It adds a touch of Hollywood glamour to your property and helps you make the most of a magnificent vista. 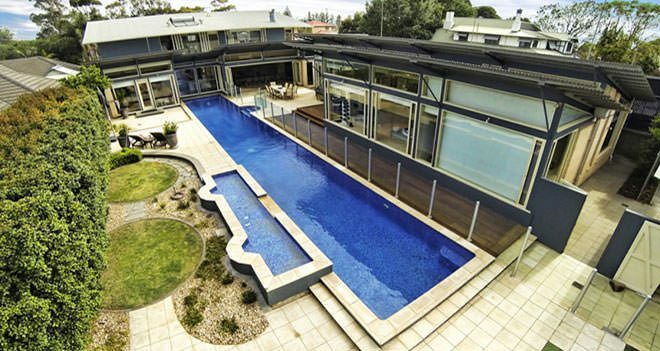 This is a great pool design if you’ve got a tricky, sloped block of land and limited scope for a fully enclosed pool. There’s something beautifully rustic about combining materials. If you prefer the earthy look, think about installing a concrete pool with timber decking. 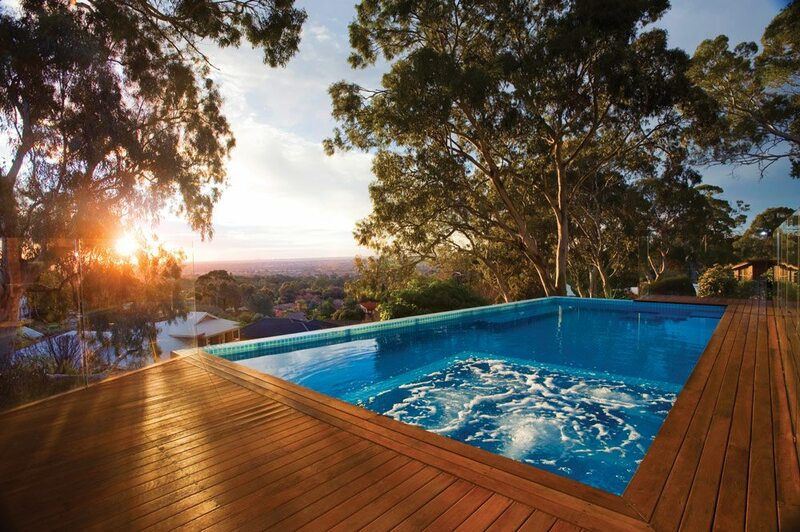 Think about installing a concrete pool with timber decking. Even if your home has nothing more than a long, narrow strip of land, it can be improved with a concrete pool. A favourite for enthusiast (or pro!) swimmers, a long lap pool may be just the thing you’re looking for to fill an otherwise empty, tricky space. Have you found a particular concrete pool design you must have? Please let us know about it in the comments section below. Got a tricky spot for a pool? Contact us today to see if our pool experts can meet the challenge! 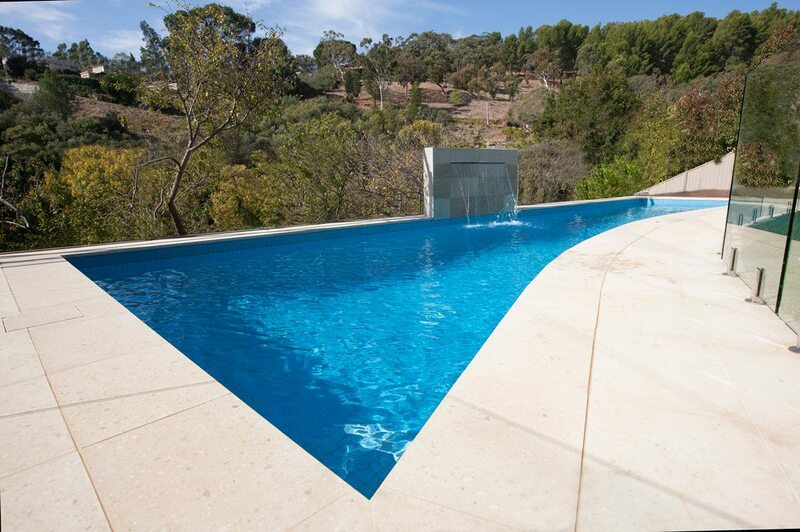 … We’re proud to offer Marlin Concrete Pools, but did you know that AOL also offers fibreglass swimming pools too? Yes, there are a range of different options in our swimming pools product range. 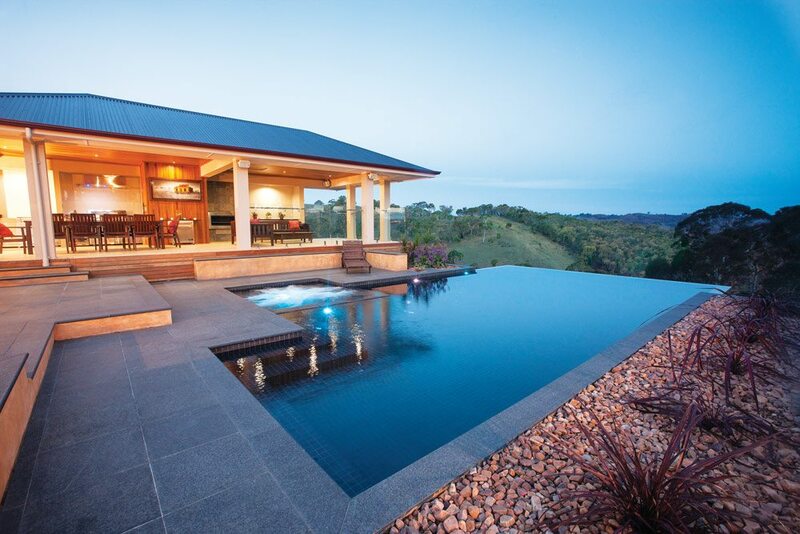 Keep your swimming pool options open and contact Australian Outdoor Living or an unbiased chat about a pool for your home – concrete pool or not!